What a difference a year makes. 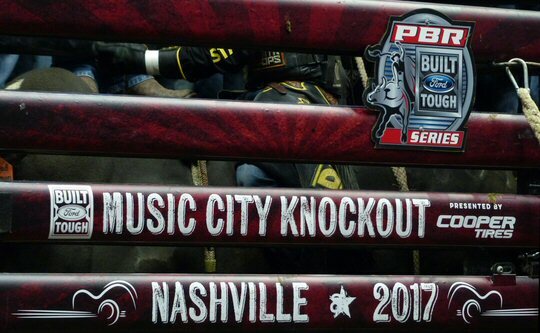 Like a well crafted country song one man turned heartbreak into joy by just holding on when the PBR Music City Knockout returned to the Bridgestone Arena in Nashville, Tennessee on August 20, 2017. 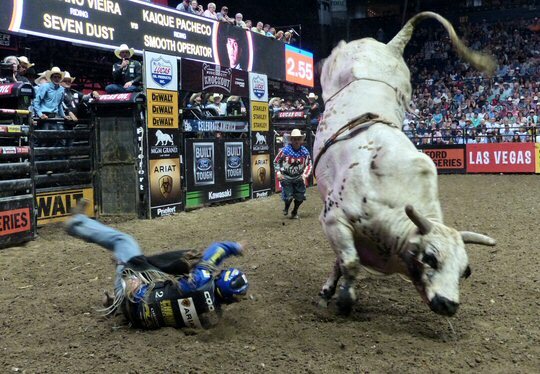 The third major of the PBR season takes place in Nashville. In 2016, we were on the same site – drawn in and captivated by the Professional Bull Riding Association’s new format that paired riders directly against one another in a single elimination contest that determined who would advance to the final rounds of the showdown. Last year, when a bull fell on Fabiano Vieira he lost a spot and his final pairing when he needed to withdraw due to serious injury. This let eventual winner Cooper Davis back into the competition and he became the champion. We arrived a little early to the sports arena to find a plaza party underway complete with local musicians, food trucks, vendors and hundreds of fans gathering in anticipation of the evening’s exciting festivities. Inside, the night of man versus beast kicked off with fire and fireworks before the riders were introduced to the near capacity crowd in the arena. Underscoring the danger and separating this event from other major sporting occasions – a solemn prayer was offered for the safety of the riders, livestock and the bull fighters who would be assisting with the program. The bulls were particularly fierce at the Saturday night showdown. 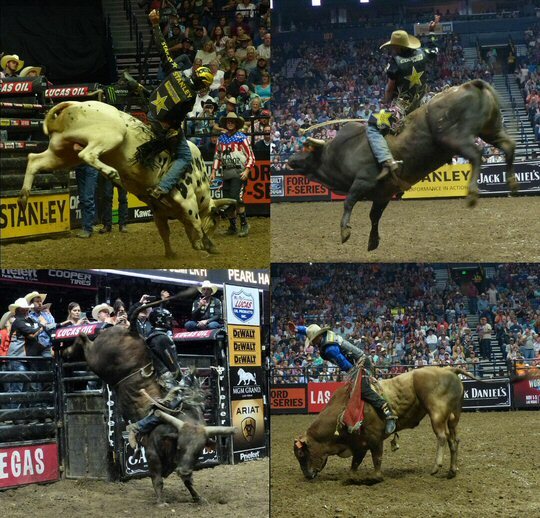 This year’s return to Nashville represented the third of four major battles in the sport of Professional Bull Riding. In terms of golf or tennis, it would be the prestigious equivalent of the British Open or Wimbledon. The event results would have a dramatic impact on the overall PBR rankings and would come with a large payday, too. After a long night of intense riding and drama we watched as a lot of the local favorites, American stars and up and coming young guns fell by the wayside one by one. The last man standing was none other than Fabiano Vieira. He had made it all the way back from the agony of defeat to the thrill of victory to become the 2017 Music City Knockout champion. A few stars of the show doing their thing in Tennessee. The night really had it all complete with a couple of rare video reviews. Both were challenges initiated by the riders with one gaining precious hundredths of seconds on his time while another was penalized. The bulls seemed tougher and harder to ride this year over last and several refused to return to the pen so they needed to be shown the way by a cowboy on horseback with lasso and leverage. Even the bulls are recognized for their effort and “Pearl Harbor” was named the YETI “Built for the Wild” Bull of the Event with a total 45.5 points. 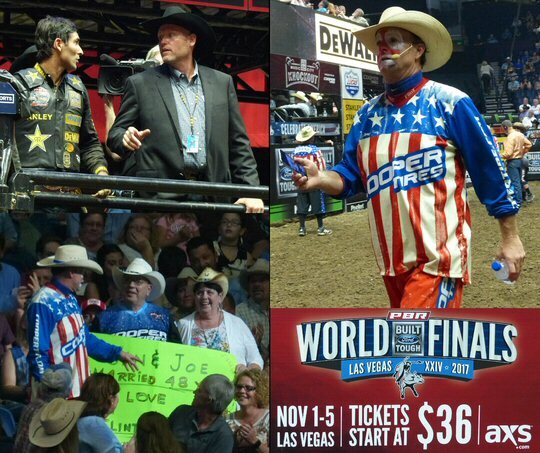 The PBR is fan and family friendly entertainment and their comedic master of ceremonies is Flint Rasmussen – known the world over as perhaps the most famous “rodeo clown” in the sport of bull riding. Flint was clowning around during the television time-outs and he showed off his dancing skills mimicking everyone from Beyonce to Michael Jackson. More scenes for the PBR Music City Knockout. The city of Nashville took the brunt of his mocking, too, as he tore into the town’s recently acquired dubious repetition as a home of bachelorette parties and pedal car taverns. When he saw two attractive women walking to the concourse he stopped them before becoming strangely taken by one of the girl’s fancy attire. “I could rock that romper,” was a theme he would go on to repeat for the rest of the show. 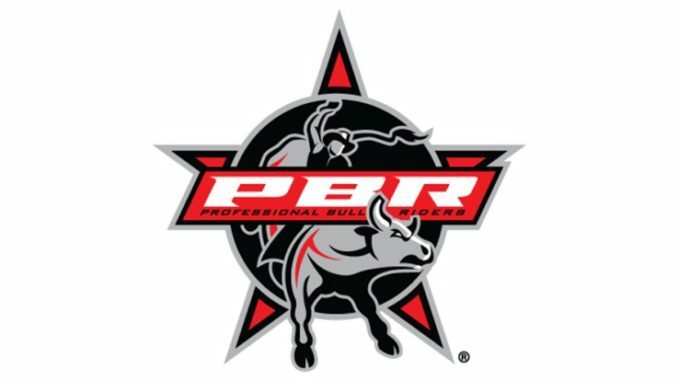 Not to be outdone by Music City, Sin City better known as Las Vegas will host the 2017 PBR Built Ford Tough World Finals complete with a star-studded music lineup set to perform for fans nightly during the five-day November event when the toughest sport on dirt crowns a new World Champion. Performances will include sets by Joe Nichols, Shinedown, LOCASH, Night Ranger and Warrant. These country artists and rock favorites will complement the epic meeting between the toughest cowboys and rankest bucking animals in the business – and that’s no bull. 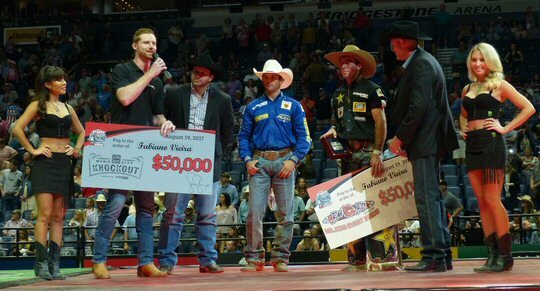 It’s a big payday for the world’s best bull riders.